The Royal Society was founded at a Gresham College lecture delivered by Robert Hooke. We imagine that it would have been something like this panel which features five of the Emeritus Gresham Professors of Astronomy and thus the leading thinkers in the field. Together, the panel tackles issues of profound importance to the future of Astronomy and answer questions from the audience. This is a once in a lifetime gathering and a must watch for all Astronomers and Physicists. Lord Rees has been the Astronomer Royal since 1995 and was the President of the Royal Society between 2005 and 2010. Between 1975 and 1976, Lord Rees was the Gresham Professor of Astronomy. Lord Rees read Maths at Trinity College, Cambridge and has taught at, amongst others, Sussex University, Imperial College London, the University of Leicester, Harvard and the University of Cambridge. Since 2005 he has sat in the House of Lords as a cross-bencher and became Baron Rees later that year. 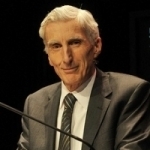 Lord Rees&apos; current research deals with cosmology and astrophysics, especially gamma ray bursts, galactic nuclei, black hole formation and radiative processes (including gravitational waves) and also cosmic structure formation, especially the early generation of stars and galaxies that formed at the end of the cosmic dark ages&apos; more than 12 billion years ago relatively shortly after the "Big Bang". He has authored or co-authored about five hundred research papers. He has lectured, broadcast and written widely on science and policy, and is the author of seven books for a general readership. Outreach Officer at the Institute of Astronomy and Fellow of Emmanuel College, University of Cambridge, and Emeritus Gresham Professor of Astronomy, Carolin Crawford is one of Britain's foremost science communicators. After receiving her PhD from Newnham College, Cambridge, Professor Crawford went on to a series of fellowships from Balliol College, Oxford, Trinity Hall, Cambridge and the Royal Society. 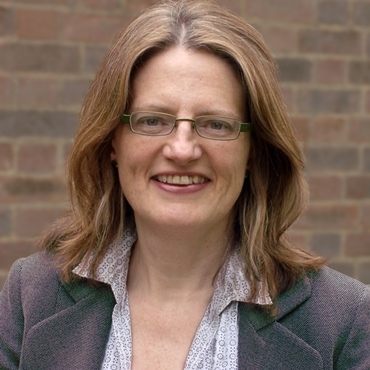 In 2004 she was appointed as a Fellow and College Lecturer at Emmanuel College, Cambridge, where she is now also the undergraduate Admissions Tutor for the Physical Sciences. Since 2005 she has combined her college role with that of Outreach Officer at the Institute of Astronomy at the University of Cambridge. Professor Crawford’s primary research interests are in combining X-ray, optical and near-infrared observations to study the physical processes occurring around massive galaxies at the core of clusters of galaxies. In particular, she observes the complex interplay between the hot intra-cluster medium, filaments of warm ionized gas, cold molecular clouds, star formation and the radio plasma flowing out from the central supermassive black hole. All of Professor Crawford's past Gresham lectures can be accessed here. Ian Morison began his love of astronomy when, at the age of 12, he made a telescope out of lenses given to him by his optician. He attended Chichester High School and then went on to study Physics, Mathematics and Astronomy at Hertford College, Oxford. In September 1965, he became a research student at the University of Manchester&apos;s Jodrell Bank Observatory. In 1970 he was appointed to the staff of the Observatory and teaches astronomy at the University of Manchester. In 1990 he helped found the Macclesfield Astronomy Society which meets at the Observatory and later became president of the Society for Popular Astronomy, the UK&apos;s largest astronomical society. He remains on the Society&apos;s Council and holds the post of instrument advisor helping members with their choice and use of Telescopes. He lectures widely on astronomy, has co-authored books for amateur astronomers and writes regularly for the UK astronomy magazines Astronomy Now and Sky at Night. He also writes a monthly sky guide for the Observatory&apos;s web site and produces an audio version as part of the Jodrell Bank Podcast. He has contributed to many television programmes and is a regular astronomy commentator on local and national radio. Another activity he greatly enjoys is to take amateur astronomers on observing trips such as those to Lapland to see the Aurora Borealis and, last year, to Turkey to observe a total eclipse of the Sun. In 2003 the Minor Planets Committee of the International Astronomical Union named asteroid 15,727 in his honour citing his work with MERLIN, the world&apos;s largest linked array of radio telescopes, and that in searching for intelligent life beyond our Solar System in Project Phoenix. Ian is excited about the prospect of his time as Gresham Professor of Astronomy. He regards it as real challenge and expects it to play a major role in his life for the next three years. He will to give a wide variety of illustrated lectures ranging from how our understanding of the Universe has grown over the centuries to a gentle introduction to Einstein&apos;s theory of Gravity - now being tested to extreme accuracy by astronomers at Jodrell Bank. He realised that his love of observational astronomy could not easily be covered in the City of London, so has instituted a Gresham Astronomy Weekend at a &apos;dark sky&apos; location in the Cotswolds which will take place in March each year. Andrew Christopher Fabian, OBE, FRS is a British astronomer and astrophysicist. He is an Emeritus Gresham Professor of Astronomy. He has been Director of the Institute of Astronomy, University of Cambridge since 2013. He was a Royal Society Research Professor at the Institute of Astronomy, Cambridge from 1982 to 2013, and Vice-Master of Darwin College, Cambridge from 1997 to 2012. He was the President of the Royal Astronomical Society from May 2008 through to 2010. 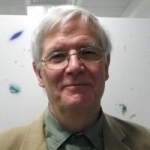 He is an Emeritus Professor of Astronomy at Gresham College, a position in which he delivered free public lectures within the City of London between 1982 and 1984. He was also editor-in-chief of the astronomy journal Monthly Notices of the Royal Astronomical Society. He was educated at King&apos;s College London (BSc, Physics) and University College London (PhD). His current areas of research include galaxy clusters, active galactic nuclei, strong gravity, black holes and the X-ray background. He has also worked on X-ray binaries, neutron stars and supernova remnants in the past. Much of his research involves X-ray astronomy and high energy astrophysics. 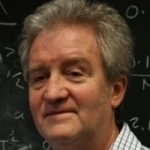 His notable achievements include his involvement in the discovery of broad iron lines emitted from active galactic nuclei, for which he was jointly awarded the Bruno Rossi Prize. 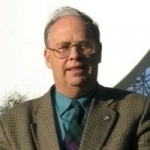 He is author of over 1000 refereed articles and head of the X-ray astronomy group at the Institute of Astronomy. 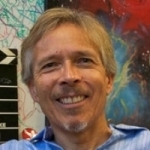 Fabian was awarded the Dannie Heineman Prize for Astrophysics by the American Astronomical Society in 2008 and the Gold Medal of the Royal Astronomical Society in 2012. Professor Michael Rowan-Robinson is a British Astronomer who works on infrared Astronomy and Cosmology. He is an Emeritus Gresham Professor of Astronomy. From 1993 to 2007, Professor Rowan-Robinson was Head of the Astrophysics Group at Imperial College London. From 2007-2012 he taught at the Blackett Lab at Imperial College. He has served as President of the Royal Astronomical Society 2006-2008. Professor Impey is University Distinguished Professor and Deputy Head of Astronomy at the University of Arizona.